Summit Renovations specializes in kitchen, bath, and basement renovations, we also provide remodeling services for all other interior living spaces. 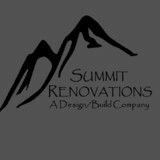 Summit Renovations is a veteran owned, family operated business which provides attention and dedication to homeowners wanting to transform worn, outdated living spaces into rejuvenated, luxurious retreats from today’s hectic world. All of our work is conducted or overseen by our owners, ensuring the homeowner receives the quality they expect. Summit Renovations’ dedication to service, sound ethical practices, and commitment to the homeowner provide for an enjoyable remodeling experience and unsurpassed value. Empowerment through home repair services for eco friendly up cycled processes, and restoring and recycling old to new updated use. Gregory' Handyman and Maintenance Services, LLC is dedicated to provide excellent workman skills that contribute to the repairs and improvement of one's home which will bring satisfaction to our client's needs. Since 1998, GHMS, LLC has provided hands on professional carpentry skills in new home construction, home renovation, modification problem solving and maintenance. Our professionals can bring out the best in home repairs and bring with them a wealth of knowledge. Who we are: -woodworker -furniture maker -craftsman -artist -custom furniture craftsmen Specialties: -Custom Furniture -Home Decor -Woodwork -Customized art -Farmhouse Tables -Barn Doors, Custom Doors, Sliding Doors -Loft Ladder -Library Ladders -Decor -Reclaimed wood -Art -Rustic Farmhouse Style Decor Artfxwoodworks Overview: Handmade, handcrafted, reclaimed, repurposed wood. We make custom furniture, often using 100+ year old reclaimed wood. We build-to-order. We source/repurpose materials by dismantling structures that would be demolished and placed in landfills otherwise. We are local artists that repurpose wood & scraps to turn into art and furniture. Each us has his/her own specialty, from woodworking to painting to fine art. Our mission is to preserve American history through fine art, crafts, and design. We are a community of craftsmen pursuing the American Dream, one repurposed piece of wood a time. We take pride in taking materials destined for landfills or campfires and breathing new life into them, transforming them into works of art to warm a home or cabin. We spend significant time examining every piece of material we find to figure out how best to utilize it and bring out its unique beauty. Custom cabinetry, furniture, and flooring specialists. 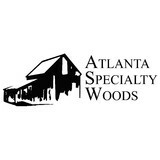 Shaver's Woodworks designs, builds and if needed, installs custom cabinets and furniture for both residential and commercial clients in the Metro Atlanta region. Shaver's Woodworks has been in business for over 15 years. Drobny Construction Inc. has been in business since in 1984. With over 25 years of experience, Ken has acquired an impressive skill set and perfected his craft in residential carpentry and home remodeling. Working in some of the most prestigious communities in Georgia, such as Country Club of the South, Cheatu Elan, Sweet Bottom Plantation, and Amersee Lakes, ken has a plethora of creative ideas for your home. We enjoy the challenge of collaborating with our clients in order to bring together multiple ideas and turn a vision into a masterpiece. Over the years, we have formed a team of sub contractors that we endorse and hold to our same standards, along with a group of vendors to ensure we are getting the best price possible to help save our clients money. SHUT 'R UP! and SHUTTER UP! 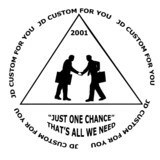 are marketing names for professional services shutter providers. 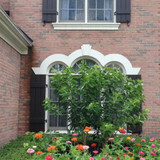 You too should think safety, quality and securely installed shutters on your home. Painters paint good, but so many shutter installations are poorly done that shutters fly off in storms. What if your shutter fly off in the wind and breaks something, who is responsible? Well, you can rest assured that we take the full ownership for the total installation and secure the shutters properly. You can buy your own shutters and have us to install them. We can provide installation only or both installation and shutters. Of course, if you know how to install shutters safely, you can buy only shutters from us too. Additionally, when you buy shutters from us we come to your home measure your windows to ensure your new shutters will dress up your home. Every hinge and screw are installed exactly, measured to look the same on each window, and that only will give the best final look on your home. We wipe down every shutter from drill dust, and we make sure your shrubs and plants looks the same as we arrived to your property. We work well with property owners, HOAs, Property Management companies, business properties owners and property investment companies. If you have multi unit complexes, we provide shutter exchange program where we exchange only the rotted/bad shutters. SHUTTER KAI knows what it means to SHUTTER UP! We are a woodworking company specializing in building and installing custom baby gates, but we also offer cabinetry for the home, office or business. We take pride in valuing your vision. You have a vision and we have the means to carry out that vision into completion. Third generation woodworking craftsmen at Imperial Woodworking LLC are dedicated, focused, and determined to deliver a commitment to you that your project, regardless of size, will be treated with the respect, care, superior quality, and competitive pricing you should demand, and you deserve. Because we specialize in custom cabinetry, our craftsmen are completely focused and devoted to each client and each project. Imperial Woodworking LLC gives 100 percent of their attention to the smallest of details making every cabinetry possibility a reality. We are completely committed to you from design through your dreams of installation. In need of some woodwork? Chances are you’ll want to hire a Kennesaw, GA carpenter. Carpenters work with all types of wood and can specialize in many different areas, including framing, finishing and custom-made furniture. Make sure you choose the right Kennesaw carpenter for your job by asking plenty of questions, viewing their past work and reading reviews.